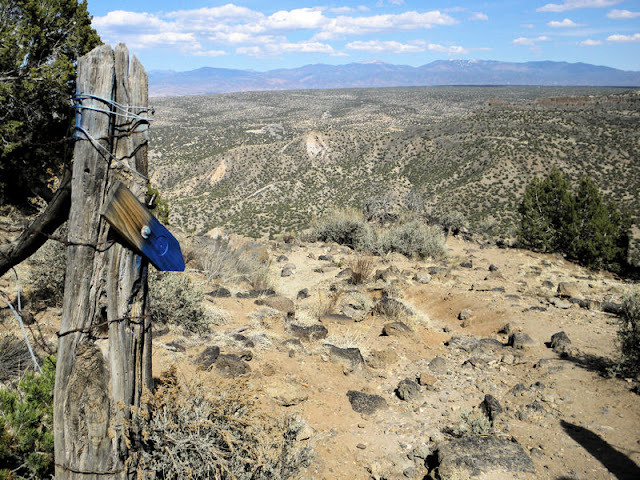 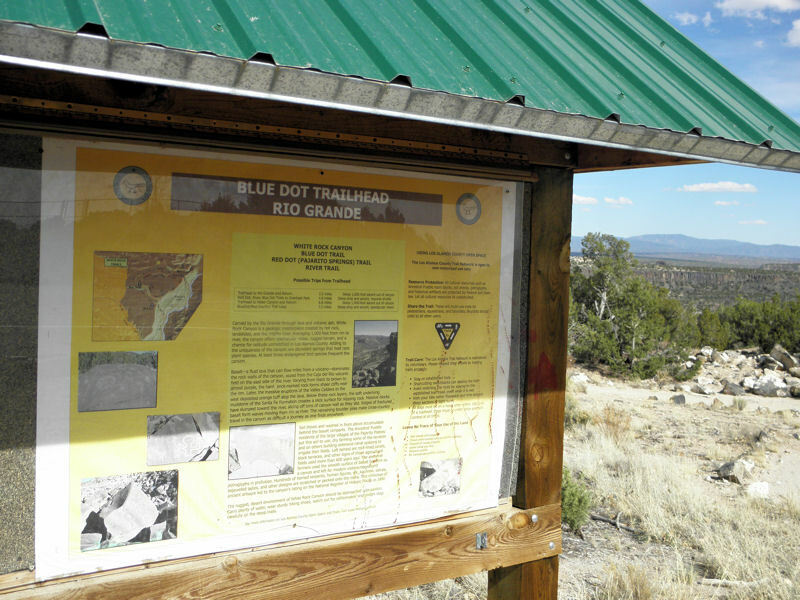 Blue Dot Trail from Overlook Park in White Rock to the Rio Grande below. 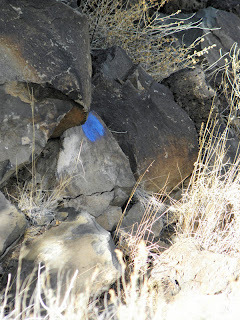 About 1.1 miles to bottom of White Rock Canyon and 1000 feet change in elevation. Blue paint dots mark the trail.